Lasermet interlock systems are now available from Laser Resources . Laser interlocking systems enable organisations to comply with best practice in terms of providing laser users with a safe environment in which to operate hazardous lasers. Lasermet laser interlock systems are configured to automatically shut-off the laser beam if safety doors, covers or blinds are opened while operating laser systems. Suitable for all laser users, the interlock system does not impede on functionality. 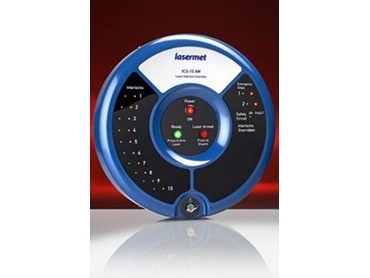 Designed for maximum safety and efficiency, Lasermet’s range of four interlock systems is designed to provide a comprehensive and highly versatile laser safety environment that is easy to install, operate and maintain. Lasermet interlock systems have the ability to operate laser interlocks, laser power, beam shutters and warning signs, and can be fitted with entry/exit overrides and emergency stop switches. A key-lock prevents unauthorised use. Laser Resources supplies the entire range of Lasermet interlock systems including ICS-1, ICS-5 and ICS 15XM.